The ecological environment, is a living canvas marked by the culture abiding in it. In order to understand Cuba’s present ecological situation, we need learn about its culture & belief systems toward natural habitats and resources. Our mission is to come along side the Cuban civil society and offer humanitarian support to grassroots community projects. We look for ways our groups can enhance and widen the impact locals are leading. That’s why your full time schedule includes daily activities that directly support and benefit the Cuban people. These humanitarian activities foster life changing relationships where you’ll explore daily living, art expressions and small business operations. Dialogues focus on how these activities impact the environment. You’ll engage with with local marine professionals, cuentapropistas (private entrepreneurs), artists, teachers, pastors, church members and more! 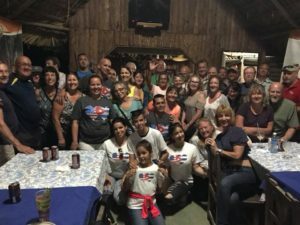 At the core of these experiences are the beautiful friendships made between participants and the local Cuban people. Your activities include guided, meaningful engagements with private citizens to go deeper into cultural understanding. 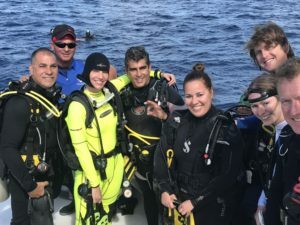 Engage with Dr. Dorka, head marine biologist of the Guanahacabibes National Park and her team of over 30 who help conserve this UNESCO Biosphere. Engage with rural towns such as La Bajada in joint programs working side by side with locals on removing invasive lionfish, maintaining and cleaning the coral nursery, protecting nesting sea turtles, cleaning up beach debris and dive site debris from the plastics epidemic and learn about the coastal ecology- pesticide free which helps heal the ocean. Meet the visionary families of artist communities as you understand the historical efforts they’ve made. Our aim is to assist with art supplies and also help thread the message of conservation through art. You’ll learn about and discuss the profound impact art has made on Cuba’s rich culture and the neighborhood economic impact. These Cuban artists have energized their local communities, are completely self-funded and inspiring them to create art on their own homes. 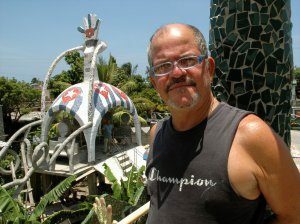 Thus his vision has aesthetically inspired neighborhoods throughout Cuba and the next generation of budding artists. Discover the character ideals and hope for the future enshrined in Cuban art. You’ll likely recognize representations of Gaudi & Picasso’s famous works interspersed within the blending of technicolor glass and clay features that greet you at every turn. Uncover the meaning that reflects how Cubans see their environment. Discuss with their family WHY. Deep in the valley of the Pinar del Rio region you’ll meet a team small private entreprenuer team, headed by world renowned farmers. Understand this peculiar blend of entrepreneurship meets socialism as you learn about their supply chain, business practices and operations. 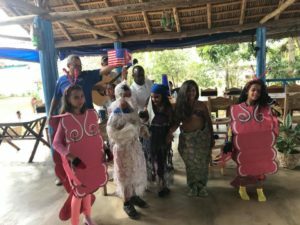 Here you will meet the children who have caught the vision and written a musical about conservation with Cuba Scuba. Musicians have even written songs. This engagement is personal and heartfelt…dare we say transformational? Learn the organic system that excludes any use of chemicals, pesticides for fertilizers which protects the coastal, marine ecosystems from potentially damaging pollution or run-off. 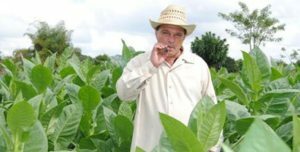 This farm owner was awarded the prestigious honor of Hombre Habano, an annual award for the best quality production of tobacco in the cigar industry. 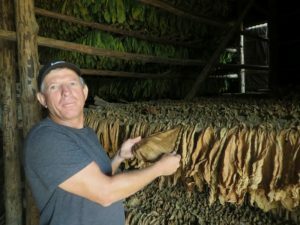 His tobacco growing techniques have been passed down through his family’s generations. Their award-winning tobacco requires a process that takes in 536 activities: from preparing the soil, watering seeds, planting, weeding, pruning, picking, sewing the leaves, deveining, rolling and much more. You’ll learn why cigar aficionado experts have awarded this farm top recognition in the cigar industry for its tobacco which is sold to Cohiba and Montecristo brands. Learn how many leaves are maintained PER plant, see how they are dried, rotated and aged. Watch them hand-rolled by private locals who’ve mastered and passed down this art through the generations. 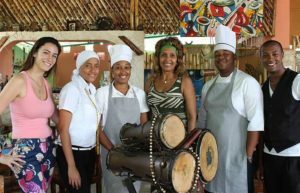 Meet with Teresa to learn about how her family invests in Cuba’s culture while running a private business. This family run, private restaurant showcases the owners’ passion for giving back to the community with their dance inspired “proyecto”, a socio-cultural project. 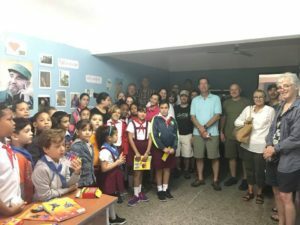 Their mission is aimed for the Cuban population, neighbors, children of the street, and artists of the district. “It’s not about one human being, it’s about our society. We try to find the balance between survive and give,” said Teresa. Dance Teachers, Cristina & Alexi incorporate dance lessons and demonstrations as the focal point to train neighborhood kids and generations of all ages. This paladar serves up delightful local Cuban cuisine, with live traditional music from local neighborhood musicians. 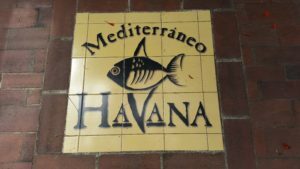 You’ll learn what’s at the heart of Cuban culture while tasting lovely Cuban cuisine. Participants are wowed by the talent of the dancing youth who are thriving and passing on this cultural tradition of rhythm and dance. Starting as young as 3 – 5 years old this proyecto hosts local dance instructors who teach them about posture, tempo, and self-control. Older children from 7-9 years add more involved, classical style dance including, salsa, meringue, and ballet. 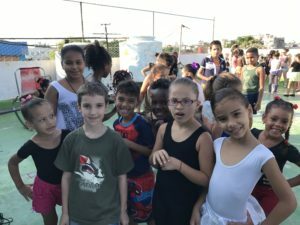 The social projects invests in Cuba’s vibrant culture ensuring the arts continue to survive and thrive, while providing employable skills to the average Cuban. Participants also enjoy the artful surroundings with Afro-Cuban inspired paintings and sculpture depicting the heritage of the neighborhood. Local Cubans are adept at navigating complex systems. You’ll meet with drivers like “Alex-Corazon”, and experience his love for people and heart for serving others. Learn first-hand about his humble beginnings into private entrepreneurship to support his family with his transportation service. Learn how he purchased his first car and see the 1957 Chevy he is fixing up. Plus, get his take on emissions for those old, diesel engines & the effect on the local environment. When it comes to the rise of the private entrepreneur in Cuba, few have more intimate experience than those who slowly renovated their family homes and began renting a room as early as the 1990’s when this private sector was first allowed by Cuban officials. 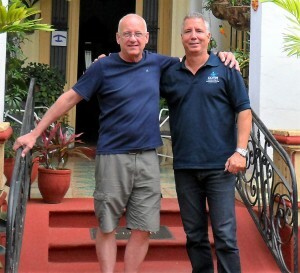 Meet with Jorge, Orlando, Myrna & Pepe to learn how steadily these Casa Particular owners (private Bed & Breakfast entrepreneurs) have increased the comfort for visitors with a service oriented focus, some of whom use self-taught English. Learn how the burgeoning private sector in Cuba has changed over the years and where opportunities and struggles lie for the developing new middle class of Cubans. 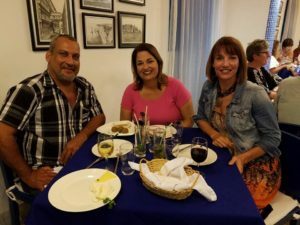 All group participants stay in privately owned Havana homes within walking distance of each other to experience the authentic Cuban lifestyle and support these private business owners. Talk with Chef Luigi about the unique co-op system agreement his Mediterranean-inspired private restaurant has made to partner with local private farm owners to offer an organic farm to table experience. 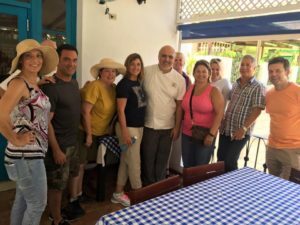 Share an in-depth educational dialogue about how this private restaurant utilizes sustainable seafood sourcing to offer Italian-Cuban fusion offerings while supporting local, private farmers. Learn about the business model where socialism and capitalism collide for local farmers raising beef, vegetables, pork, rabbit and much more. Gain insight into the organic efforts which scientists believe have helped preserve Cuba’s marine ecology from pollution. Experience how Italian born Luigi Fiori’s creations have won the International Quality Crown Award, Latin American Quality Award, numerous European accolades in the gold category and the Certificate of Excellence from TripAdvisor 2016. Taste Luigi’s homemade chorizo and cheeses sourced from local organic produce. Try one of the fresh, squeezed indigenous fruit juices. Plus, enjoy the breezy surroundings of this renovated private mansion in the heart of the Vedado upscale neighborhood of Havana.